Following on from the eye-catching rise of Christian Pulisic at Borussia Dortmund, Haji Wright and Weston McKennie earning promotion to the senior Schalke squad and Jonathan Klinsmann signing for Hertha Berlin, the next American youngster has arrived in the Bundesliga eager to make his mark: Brady Scott. The goalkeeper, who only turned 18 at the end of June, penned a three-year deal with Cologne at the start of July 2017, moving from De Anza Force in the San Francisco Bay Area after turning down an opportunity at the University of Virginia. Although initially brought in to bolster the reserve side, the Petaluma, California native stepped up to the first team squad almost immediately as an injury to Thomas Kessler left a space open at the Billy Goats' training camp in Kitzbühel, Austria. It represented the next milestone in the incredible rise Scott has enjoyed over the past year. A regular in the USA's U-18 and U-19 camps, he was included in the U.S. squad that reached the quarter-finals at this year's FIFA U-20 World Cup in South Korea. 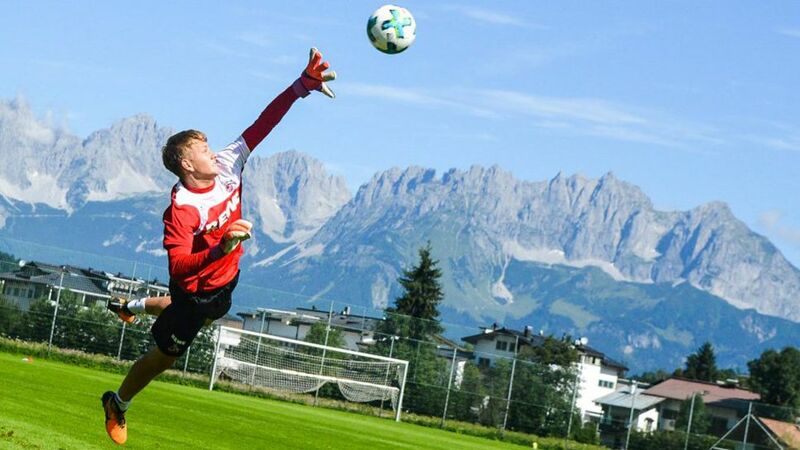 And although he did not play – Klinsmann was first-choice goalkeeper – Scott is eager to take the positives. "The experiences of playing at international level have been a key in my development," he told top drawer soccer. "Because of these games, I feel that the adjustment to German soccer will be significantly easier." There is no doubting that. Jonas Hector, Lukas Klünter and Salih Özcan, who recently won the prestigious Fritz Walter gold medal, are other examples of youth players being given a chance in the first team at Cologne, and Scott is keen to add his name to that list. "My football goals for the first season with Cologne are to get as many games as possible and to improve as much as possible," he said. "Within the next few years, I'll do my best to earn a spot on the first team. I’m hoping to still be able to be a part of the US national team program and represent my country." If his fellow young compatriots are anything to go by, that looks like a safe bet. Click here for more Cologne news!